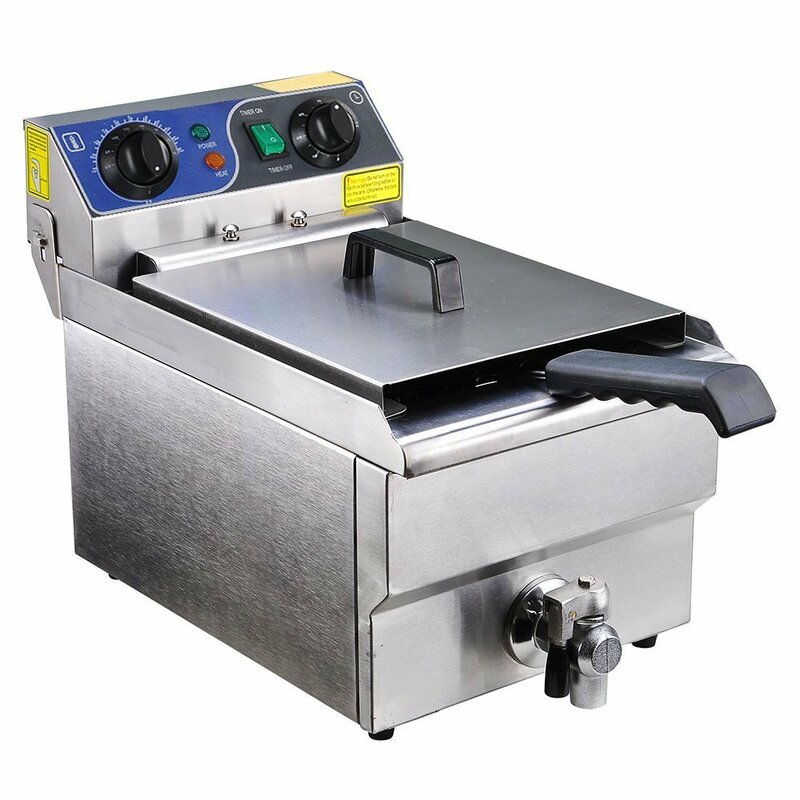 There is a lot of thought which goes into purchasing a commercial fryer. Restaurants or small ventures which utilize fryers to sell their products must consider many factors. 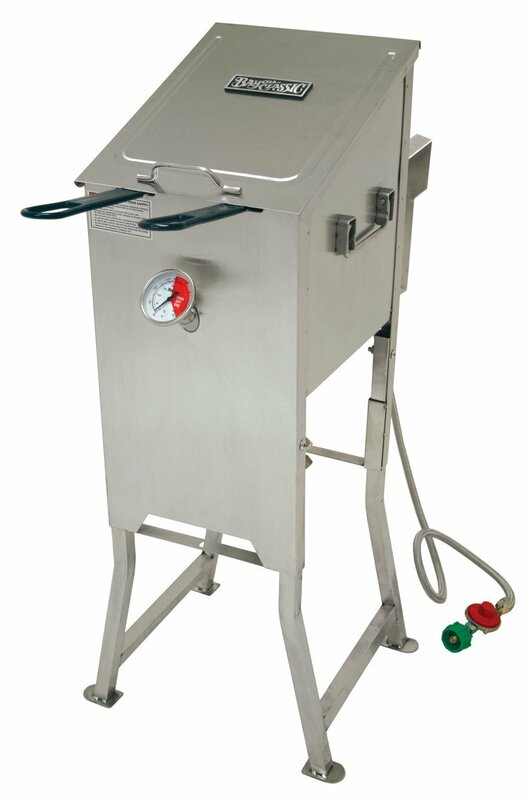 Fryers are available in an assortment of different styles and features. Some commercial fryers are counter top and others are the traditional free-standing that you would see in perhaps a fast food establishment. When looking for a commercial fryer for your specific requirements, consider space, use, and capacity. Stick with reputable brands that offer solid construction, strict safety standards, and a reasonable warranty. The Yescom Commercial deep fryer is an example of an excellent countertop version. You will get the dual basket option in the traditional stainless steel design. It is a versatile fryer with an emphasis on safety to prevent oil splashing. Simple to clean properly, you can choose between using one or both baskets at a time. Barbour International 700-701 Fryer, Solid Steel, 4-Gal. 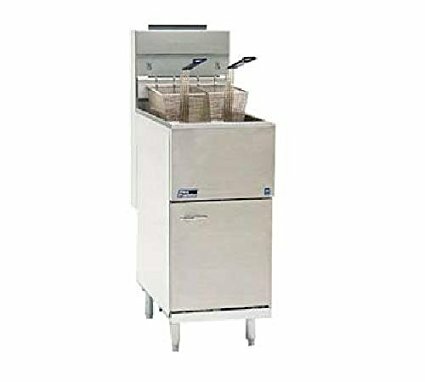 Made by Bayou, a well-known restaurant product company, this fryer offers superior functioning and efficiency. It is a stainless steel free-standing fryer that comes with extension legs and clean technology. The “V” bottom design allows oil to remain cooler at the base and keep food from burning. Bayou has a nice variety of different size commercial fryers to help meet specific consumer requirements. 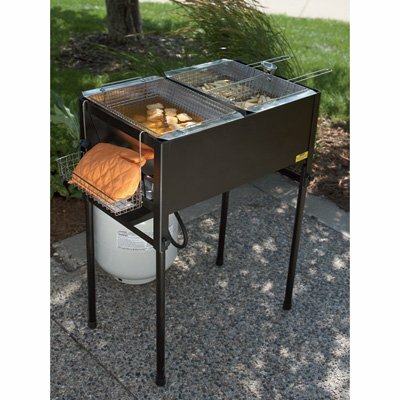 Another great restaurant quality supplier, Pitco also carries a wide range of different commercial fryers and offers simple financing for the more elaborate versions. This particular model uses natural gas and can also be aligned to propane gas with an additional valve hook up. The Pitco includes a 90,000 BTU construction and weighs 161 lbs, so requires a permanent place in the kitchen. 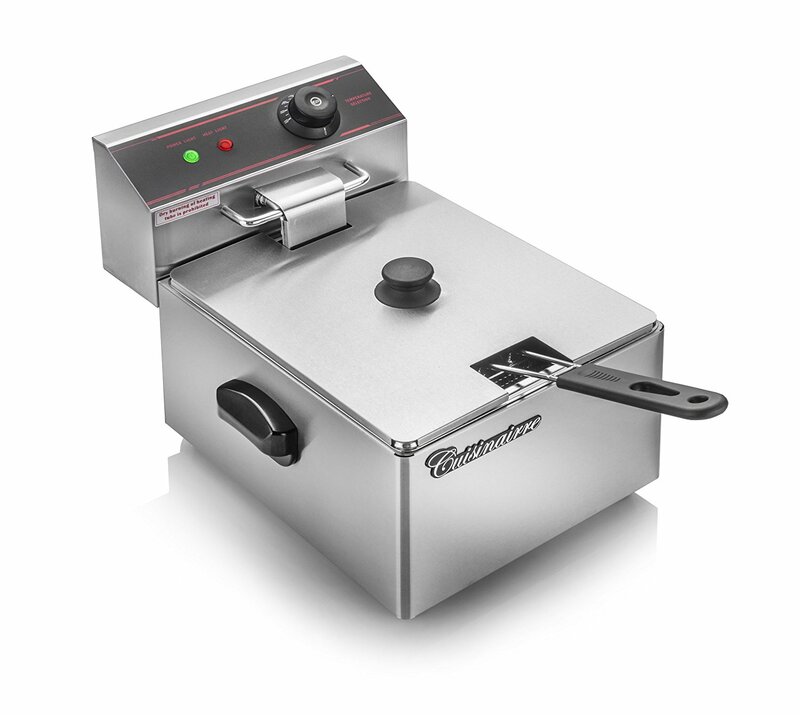 This is an excellent choice for a smaller, more manageable countertop commercial fryer. You have more control over placement and cleaning with this stainless steel dual 12-liter tank. 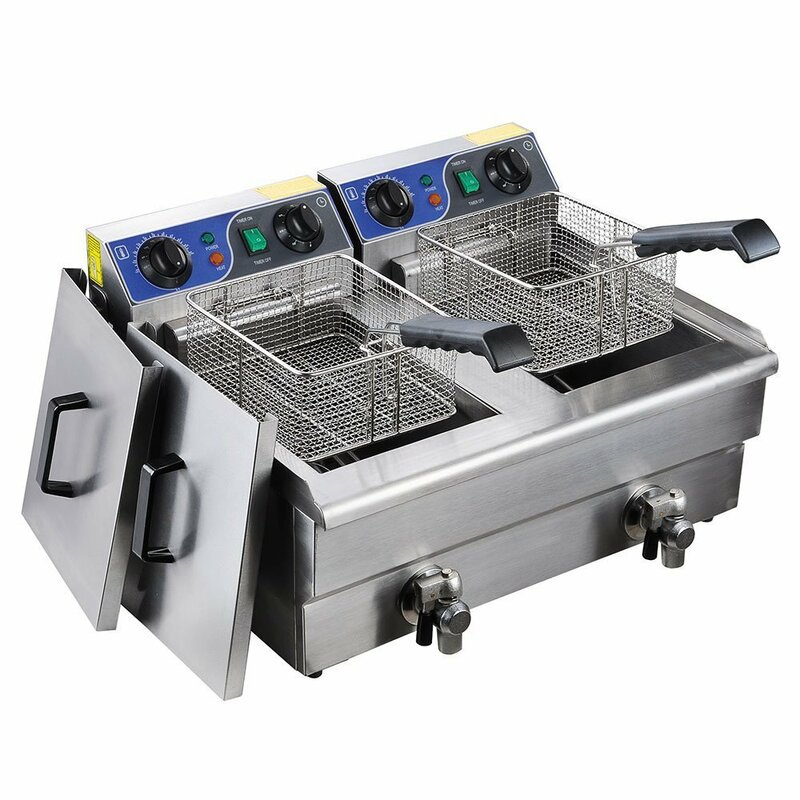 There is the option for use as a single basket fryer with the inclusion of dual power plugs. You will also have the choice to minimize oil splashing with the included lid covers. With more safety in mind, the handles measure over 9 inches. This deep fryer is available in different versions. Countertop fryers can be more efficient in smaller establishments, or home ventures. The Kitchener Triple Basket deep fryer is a direct result of new technology for consumers who want commercial products but in a more personal style. This fryer is great for fundraisers, outdoor events, and sports removable legs for easy transport. It is important to remember it is still considered a commercial fryer and strict safety standards must be applied when using hot liquids at any time. With that being said, this nifty fryer comes with three stainless steel baskets for large food preparation. It does operate on LP gas burners up to 40,000 BTUs. If you are in the market for a portable fryer, this is the one to grab. Thanks to a mesh of personal fryer features and the commercial grade fryers, the Cuisinairre is the perfect result. In fact, for those who love their fryers, this is the next step up. It has all the accruements of a quality commercial-grade fryer like the sleek stainless steel construction and heavy duty accessories. You will also get the two basket version with the option to use only one if needed. The fryer is a countertop portable weighing only 19.5 lbs. This 3000-watt deep fryer by Yescom, is a larger version of its previous listed counterpart – the 12L 5000W. This larger model was specifically designed for commercial use. 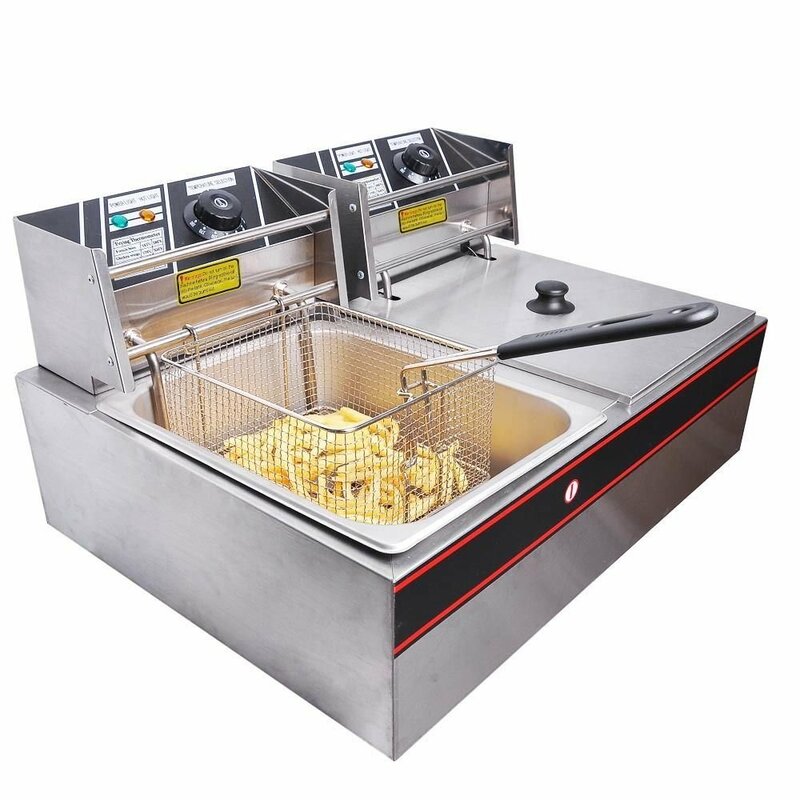 With strict safety requirements in mind, the fryer comes with stainless steel lid covers and the fry baskets have extended 9.5” safety handles. It is user-friendly and perfect for those who want a quality fryer that is simple to operate but produces plenty of servings in one batch. 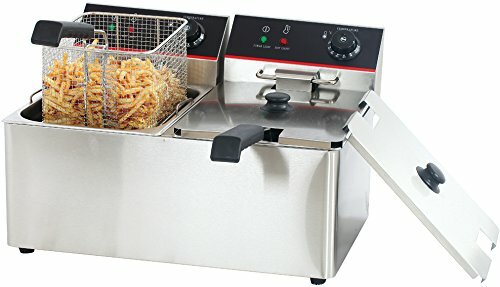 The Hakka is a unique professional fryer. While most fryers are constructed with a 2 or more fryer basket construction, the Hakka is an 8L capacity one basket system. The single tank system works well for almost any cooking, which is why it is advertised as a turkey fryer. If you are looking for a sleek, smart and safe fryer, then the Hakka might be the first fryer to check out. It is lightweight, weighing only 16.6 lbs and can be used in any commercial or home environment. 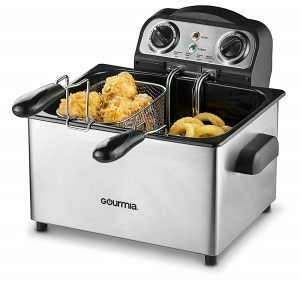 For those who are budget-minded, but want all the perks of a commercial deep fryer, then check out the Gourmia Fry Station. This is a powerful little fryer with a dual basket system. It uses lock-and-block flavor saver technology with a tight fitting lid and viewing window. The trisafe safety system incorporates an auto shutdown to prevent overheating and a steady mount prevents oil accidents. On top of this, there is a Mag Plug breakaway power cord for preventive breaks. This is an excellent fryer for the dollar. There are some interesting features and a unique design flow with this commercial fryer. Made of stainless steel construction, it also sports heavy duty copper faucets for easy clean-up. There are the 9.5 extended plastic basket handles for safety and the sleek stainless steel lids to prevent hot oil accidents. This fryer comes with a super long cord, measuring in at 59” which means you are free to move this compact fryer to any place you require it. There is also a rotating fryer head designed to make cleaning amazingly easy. A cool fryer for any kitchen.